Are you an aspiring SOC Analyst? SOC (Security Operations Center) Analysts specialize in identifying and utilizing defensive skills and techniques. SOC Analysts are highly sought after in the Cybersecurity field. SOC Analysts identify compromised machines and malicious actors. They also help mitigate any damage that may have occurred. Students will be in charge of a network that is currently under attack and will be taught techniques that will prepare them to defend against several attack scenarios. 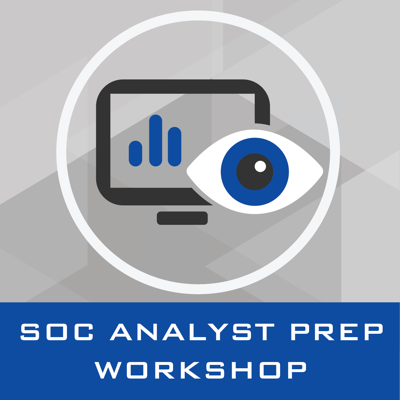 In addition to windows forensics, this workshop will feature popular tools such as Splunk, Security Onion, Wireshark, and Nessus. All software can be used at home and installed for free. Setup and instruction material will be provided to all participants. Cybersecurity is now and it will be here for the foreseeable future. One training could provide someone a jump start to sound career and better future. Training Sponsors will receive recognition of sponsorship type and the number of trainings via group messaging to The D.C. Cybersecurity Professionals meetup group and their 6,500+ members. Additional promotion will occur via the @DCCyberWarriors & @Cover6Solutions social media channels. If you would like to become a Training Sponsor please fill out the form below prior to registering for the training. Would like to thank the ISSA-National Capitol Chapter for hosting our Breaking into #Cyber meetup. It’s always a pleasure providing advice and we look forward to hearing about the accomplishments from those in the room. The @bsidesnova conference was amazing! The venue... one of a kind.. literally. I got to work with Marcelle Lee and conduct the #CTF4Noobs Workshop :-). It was great seeing so many familiar faces as well as meeting quite a few of my #infosec idols... all were very humble and approachable. Shout out to Sophia Fadli, the #BSidesNoVA staff, sponsors, and all the volunteers who helped make the event a success. Can’t wait to see you all again. Congrats to, Not Fast, Just Furious, the winners of the #CTF4Noobz @ #BSidesDC. Good job everyone! W/ @marcelle_fsg. "I've been blessed to have a platform where I can use my expertise in cybersecurity to help provide a better future for others." "We may never play in the NBA or NFL but there is nothing stopping us from being a CTO, CISO, etc." "To anyone who ever considered giving up... DON'T"
In addition, aside from conducting over 100 meetups, Wilson is also on the Review Board of BSides NoVA and has recently presented and/or taught classes at major conferences and events such as BSidesNoVA 2019, BSides DC 2018, ISACA-GWDC Cybersecurity & Risk Conference, ISSA Mid Atlantic Security Conference, BSides NoVA 2017, BSides DC 2017, and DCCyberWeek 2017. Aside from being the Founder of Cover6 Solutions, Mr. Wilson's professional experience includes leading roles at agencies such as INSCOM, RCERT-SWA, JTF-GNO/USCYBERCOM, Dept. of Energy, and the FBI. I took the Cover6Solutions SOC Analysts workshop and thought it was the most valuable workshops I’ve ever had. It spanned across two days and within those two days, I got to learn so much information that I didn’t even learn in college. There is a lot of ‘hands on’ opportunity to practice what you’ve learned in the class. Tyrone, the instructor, is highly knowledgeable in the cybersec field. He is very approachable and always willing to help, which made the class more ‘comfortable’ and useful at the same time. I highly recommend Cover6 Solutions to anyone who’s looking for cybersec workshops. Cover6Solutions SOC Analyst prep workshop was a great two-day information packed experience. Tyrone makes sure to explain each topic in depth and plenty of examples, to prepare you for a fun hands on experience on both days, and a Defend the Flag on the second. I recommend this to anyone who is looking to enhance their skills. Keep an open mind and think outside the box! This class will make you think and open your eyes to things we normally would not think of! **Side note after attending all of the workshops offered by Cover6, it has helped me to figure out what I want to do specifically Cybersecurity field and I am positive it will help you as well. They are all great workshops. I have repeated the Pentest Prep Workshop and will repeat this one! Thank you for a information packed, hands on experience please keep up the great work! I took a SOC Analyst class with Cover6Solutions and it was amazing. Not a lot of PowerPoint slides but you will have lot of hands on. The instructor, Tyrone gives you what you need for the job so no time to waste. I learned a lot from there in 2 days than the 2 years I spent in my MS in cyber security class. If you are looking for a good place to learn the real stuff with hands on , please go to Cover6Solutions.